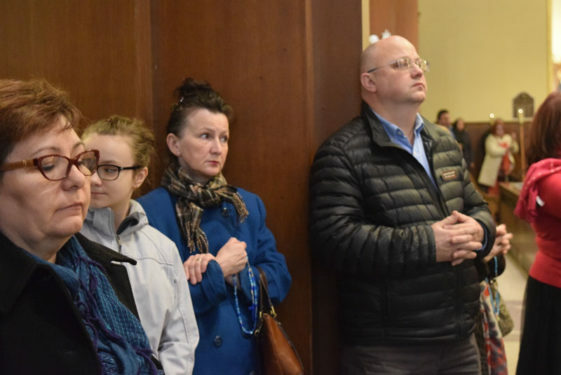 On Divine Mercy Sunday, April 8, a diverse congregation of Italian, Polish and English-speaking parishioners gathered at Our Lady of the Miraculous Medal Church, Ridgewood, for a prayer service celebrated by Auxiliary Bishop Witold Mroziewski. 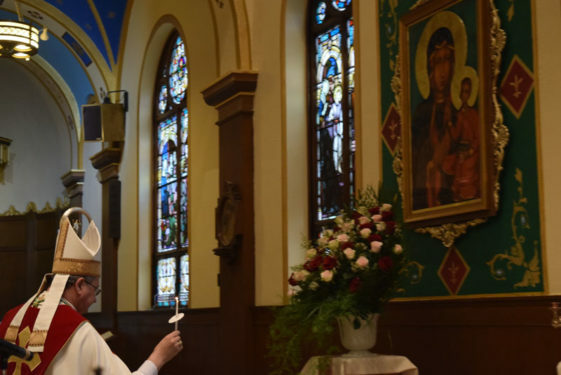 Fathers Anthony Sansone, pastor, and Johny Chengalan Thomas, C.M.I., parochial vicar, participated in the service, which included the dedication of two images of the faith’s matriarchs: Our Lady of Czestochowa and the mother of Mary, St. Anne. 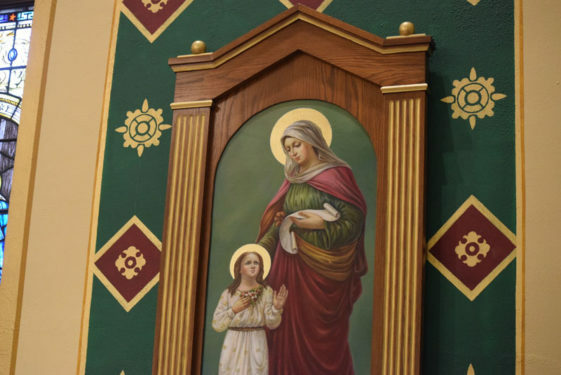 “We stay in the front of this altar in this beautiful church and we ask our Father to bless the icons of Our Lady of Czestochowa and St. Anne,” Bishop Mroziewski told the congregation. 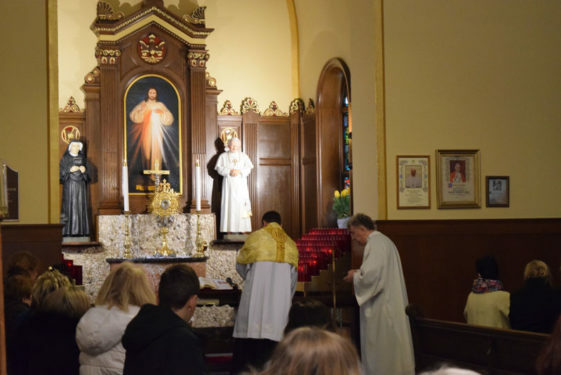 The first celebration of Divine Mercy Sunday occurred in 2000 when Pope St. John Paul II designated the first Sunday after Easter as a special feast. The date symbolized a connection to the year when St. Faustina Kowalska was canonized. 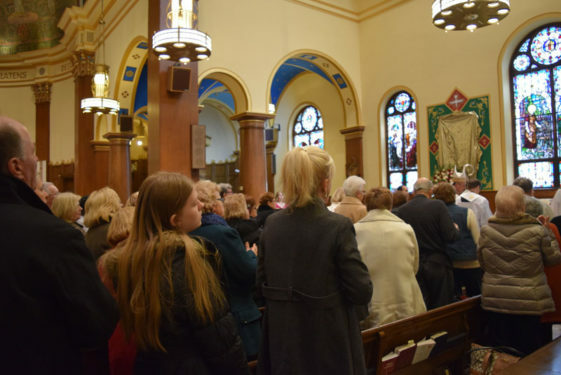 For those gathered at the Ridgewood church’s Divine Mercy observance, pious reverence and solemn celebration were the key takeaways. 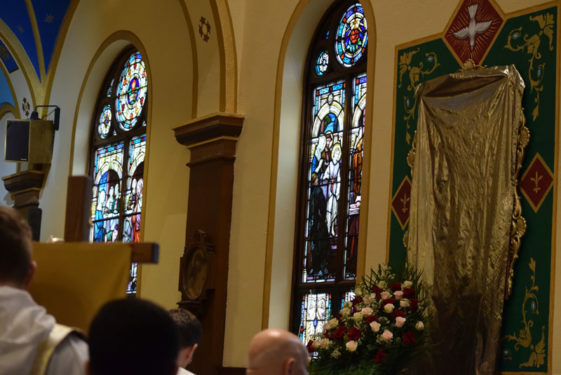 Congregants young and old took to heart the words Father Sansone, who shared how Divine Mercy is a direct invitation, relationship and grace from God. 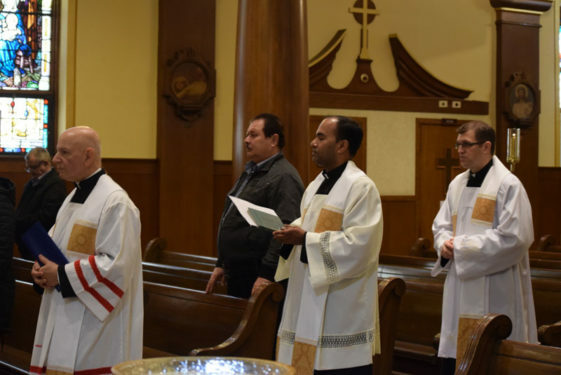 “Despite all of our weaknesses and sins, we are loved by God in such a way that He sends His son Jesus the Christ to suffer, to die and rise back to life again so that He becomes a symbol for us of strength and courage in this world,” Father Sansone said. 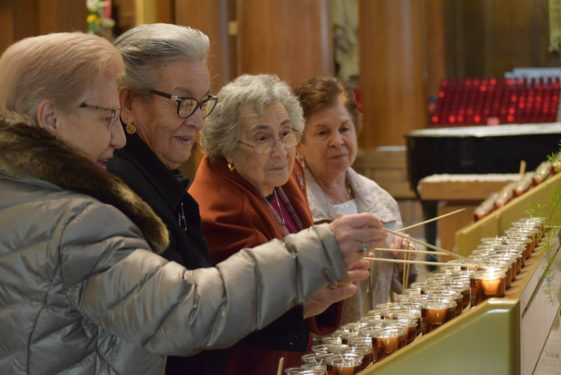 These Italian women were among the first to light candles at the new icon of Our Lady of Czestochowa at Our Lady of the Miraculous Medal Church, Ridgewood. 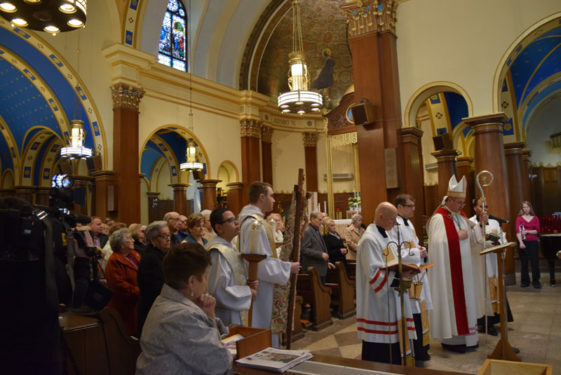 With incense making its way around the church and up into the heavens, Bishop Mroziewski and the clergy made their way to the new section of the church dedicated to the matriarchs. 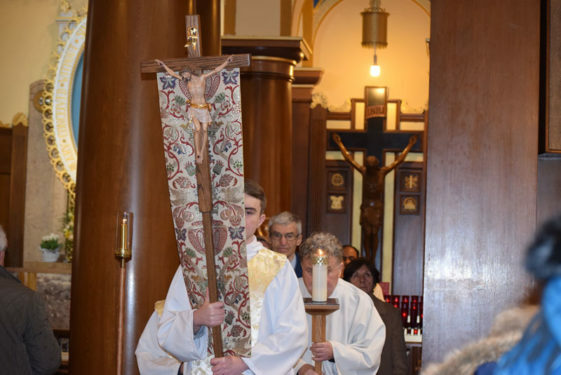 Father Sansone revealed the new images to sounds of awe and signs of the cross. 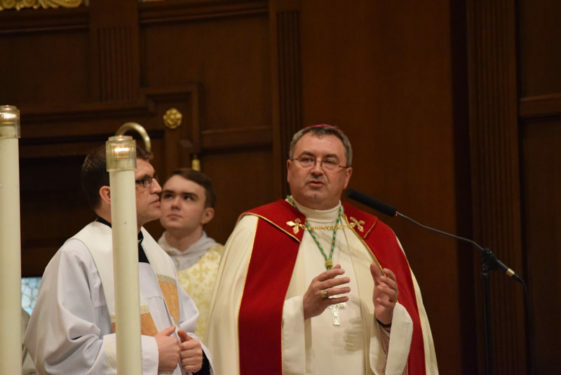 Each priest said a special blessing and the bishop was the first to light an offertory candle. Nations around the world have consecrated themselves to the Blessed Mother. 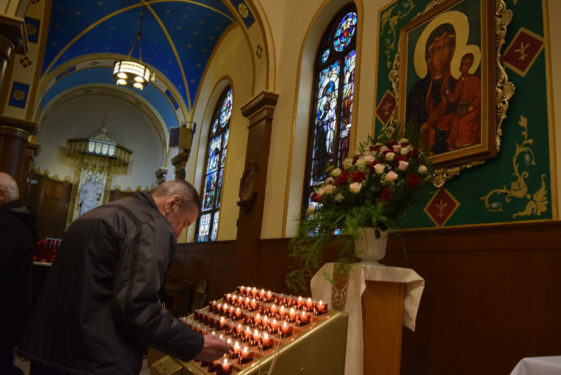 In Poland, they refer to Our Lady of Czestochowa as the Queen and protectress of the country. 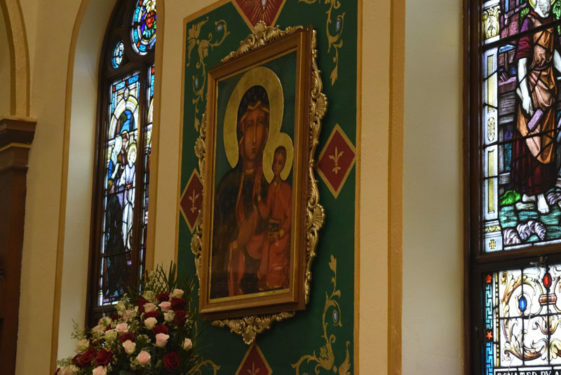 The Marian shrine there attracts millions of pilgrims from around the world to venerate the original painting. 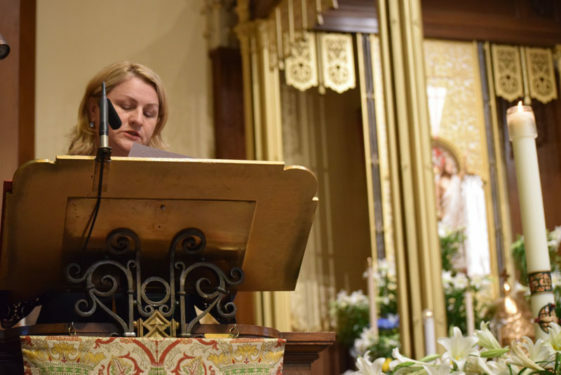 A similar devotional following also exists in Our Lady of the Miraculous Medal – where a group of Italian women faithfully pray to the Blessed Mother since joining the parish 30 years ago. Her friend and fellow parishioner Geuseppina Vinci were among the first to light votive candles at both images. 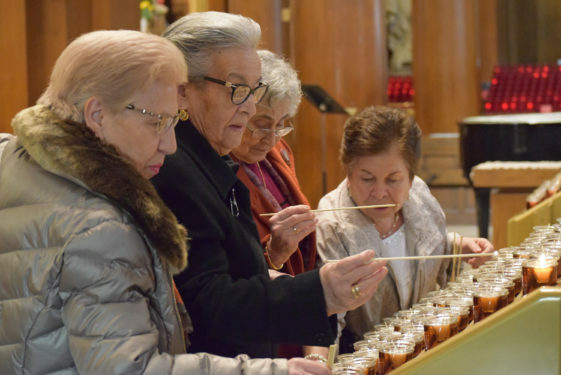 Despite the language barriers that can exist within such a diverse parish, their faith allows them to understand each other. Fr. 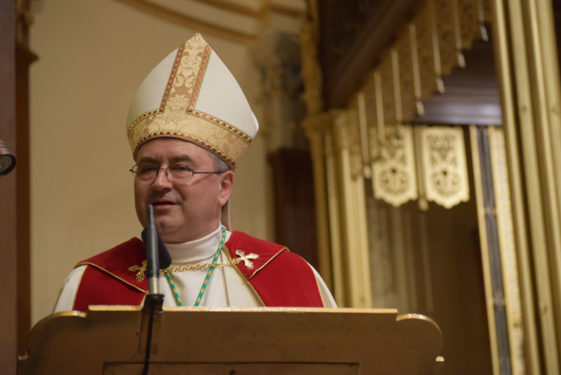 Sansone has done marvelous thing for the parish! The church is newly painted and is glorious! 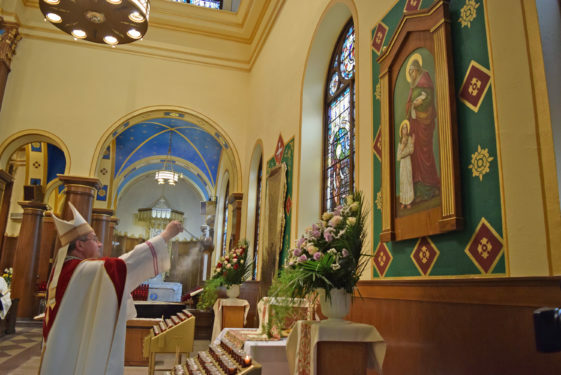 Now with these two new shrines, the church continues be a beautiful place to pray. Glad Saint Ann came back into the church. Look at the beautiful ceiling! What a a choice of co,it’s highlighting how beautiful OLMM Church is. This is my home parish.